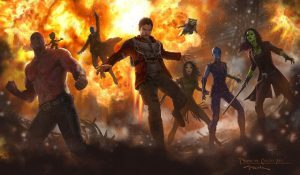 Coming out of San Diego Comic-Con, new details have emerged about Marvel Studios’ upcoming sequel Guardians of the Galaxy Vol. 2. Taking place several months after the events of Guardians of the Galaxy, the Guardians have built a reputation after saving Xandar from Ronan the Accuser (Lee Pace) and the Orb (secretly one of the fabled Infinity Stones). Peter Quill, the Star-Lord (Chris Pratt), has come to view himself as the leader of his motley crew and tried to keep them out of trouble (to mixed results). A race of genetically-modified beings known as the Sovereign have asked for help from the Guardians only for the situation to go terribly awry. Further, the Ravagers have staged a mutiny turning on their leader Yondu (Michael Rooker) and imprisoning him. Quill will also finally get to meet his long-absent father. While his part is yet known, Sylvester Stallone will play a role in the film. Lets see what characters are set to appear in Guardians of the Galaxy Vol. 2 coming out in theaters May 5, 2017. A mercenary, information broker, and smuggler, Tullk Ul-Zyn pilots the Torricane and was once hired by Ronan the Accuser to track down Tana Nile, an infiltration agent for the Rigellian Empire. Nile would claim Ronan had conspired with the Skrull to overthrow the Kree leading to Ronan’s exile. Over the course of tracking down Nile, Tullk would be contacted by his target to send Ronan into a trap on the planet Godthab Omega. Intimidated by Nile, Tullk complied and was provided a means to circumvent Kree security by Ronan (only for the Accuser to betray him by contacting the Kree authorities). Just as Tullk realized he had been duped, he was attacked by a swarm of insectoids from the Annihilation Wave where he was presumably eaten. Ronan would reach Godthab Omega where he stepped into a trap laid by Gamora as Nile would fall prey to the Annihilation Wave before Ronan could learn why she framed him. Tommy Flanagan (Sons of Anarchy) will portray Tullk in Guardians of the Galaxy Vol. 2. A renowned advanced scout for the Stark, an alien race that discovered the technology of Tony Stark and built its society around it, Taserface discovered the planet Courg in the Bledsoe system in the 31st Century with plans to rob it of its resources. His designs, however, would be derailed when he was defeated by the Guardians of the Galaxy only to be rescued by his superior Commander Blackhand. When Aleta of the Guardians killed Lieutenant Darkeyes, a taboo act in Stark culture for females to assault one another, Taserface was referred as the “Nameless One” until such time he could apprehend the Guardians’ leader. 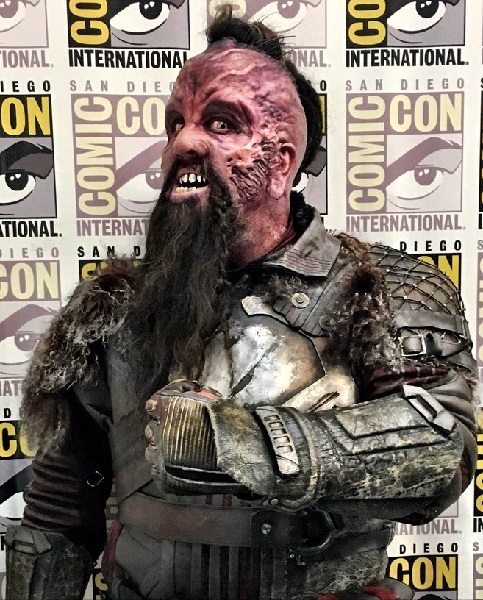 In another failed attempt on the Guardians, Taserface was marooned on Courg but would get another opportunity to face his enemies when their ship was destroyed by the Stark. Actually defeating the Guardians, the group would be saved by the timely intervention of Firelord, Protector of the Universe. Shown mercy by the High Sister of the Stark, Taserface was transformed into a cyborg and was dubbed “Overkill.” Set to attack Firelord, Overkill would defeat his opponent only for the Guardians to arrive. The cyborg would distract them as the Stark set a trap for the group. Overkill would be withdrawn only for the Stark’s plan to fail. Subsequently, Overkill set a trap for Guardian member Hollywood (Wonder Man in the 31st Century) only for the cyborg to lose, choosing to initiate a self-destruct sequence in his body capable of destroying solar systems. Hollywood would grab Overkill to absorb most of the blast and would survive the encounter. For Guardians of the Galaxy Vol. 2, Taserface will be portrayed by Chris Sullivan (The Knick) who is a Ravager that leads the group following their mutiny against Yondu. Taserface’s Ravagers will be Wretch (Evan Jones), Half-Nut (Jimmy Urine), Brahl (Stephen Blackehart), Gef the Ravager (Steve Agee), Oblo (Joe Fria), and Narblik (Terence Rosemore). The daughter of a Vietnamese woman named Lua and a German soldier named Gustav Brandt who served with the French during the Vietnam War, the female that would come to be called Mantis would never know her parents until adulthood. Lua would be killed when her brother, a crimeboss named Monsieur Khruul, learned of her interracial coupling as Gustav would be blinded. Gustav and his daughter would escape and seek shelter with the Priests of Pama, pacifist Kree who believed Gustav’s child could be the fabled Celestial Madonna that would give birth to the Celestial Messiah, the most important being in the universe. They trained Gustav but forbade his contact with his daughter (afraid his violent tendencies would influence her) leading to the German eventually leaving and becoming a terrorist for the Zodiac Cartel called Libra. The girl would be raised and trained by the priests, becoming a martial arts expert dubbed Mantis only to have her memory wiped and be sent into the world to gain experience. She would become a prostitute and barmaid for her uncle (of which neither were aware of their relation) until she met Jacques Duquesne, the Swordsman. 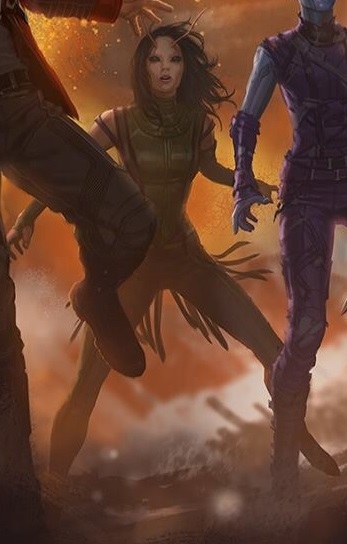 A former Avenger turned alcoholic mercenary for Khruul, Mantis saw good in the Swordsman and convinced him to sober up and rejoin the Avengers with her by his side. And so the pair joined the Avengers becoming an asset to the group though they would drift apart. When the Avengers fought the Zodiac Cartel, Mantis would be reunited with her father who revealed her past to her. Wishing the Celestial Madonna for himself, Kang the Conqueror would capture Mantis and, upon his defeat, tried to kill her. The Swordsman would sacrifice himself to save his former love. However, the Swordsman would be resurrected by the Cotati, a telepathic plant race whose elder would mate with the Celestial Madonna to produce the Celestial Messiah. The Swordsman/Elder Cotati fused being and Mantis would wed and depart Earth to bear their child. Intermingling her essence with the Cotati, Mantis was transformed into part of their race turning green and bore the child named Sequoia, raising him for a year before turning him over to the Cotati. Mantis would go on to have many more adventures with the Silver Surfer, Avengers West Coast, and Guardians of the Galaxy. In Guardians of the Galaxy Vol. 2, Mantis will be played by Pom Klementieff (Oldboy) and is an empathic alien that accompanies Ego. In an attempt to create a perfect race of human beings, the organization known as the Enclave created “Him.” Golden-skinned and immensely powerful, Him would emerge as the Fantastic Four arrived to save Alicia Masters whom the group had kidnapped. Sensing evil in his creators, Him departed the facility despite being warned it would destroy their base, endanger its inhabitants, and cripple the group. Him would go on to become the hero known as Adam Warlock. Undeterred with their failure, the Enclave made another attempt at its master race. Their next creation would be Paragon, a female version of Him. Rather than employ a cocoon as Him did, Paragon was born fully formed and uncontrollable, battling the Hulk. Destroying the Enclave’s base, Paragon would cocoon herself and emerge as “Her.” Seeking Warlock out as her mate, she learned he had died and she failed in an attempt to resurrect him (forcing her to seek out another worthy mate among the cosmos). Becoming a hero in her travels, Warlock would be subsequently reanimated and Her sought him out again only to be rejected. Testing out the heroes of Earth to see whom was of a proper breeding stock, Her would eventually become a partner to Quasar where she took the name Kismet. Warlock would subsequently produce more of his own race with the Infinity Gauntlet in an evil, male version called Magus and pure, female version called the Goddess. Kismet would also save three of the scientists that created her with the same cocoons she and Warlock were born from, effectively making them members of their species. A former member of the Enclave, Maris Morlak, would become the evil Crucible, set up a base of operations in Genosha, and enslave Kismet (renaming her Ayesha). Consequently, Morlak’s partner Wladyslav Shinski would kill Crucible, assume his identity, only to die alongside Ayesha via a Black Hole Grenade. Ayesha will be portrayed by Elizabeth Debicki (The Man from U.N.C.L.E.) in Guardians of the Galaxy Vol. 2 and is the High Priestess of the Sovereign, a race of golden-skinned, genetically-engineered superbeings, who ask for help from the Guardians of the Galaxy which doesn’t go well. As an aside, a cocoon made to look like that belonging to Adam Warlock was seen in the Collector’s possessions in the first Guardians film. In the Marvel Universe, there are many powerful, ancient beings. One of the mightiest such groups without question is the Elders of the Universe. While not a formal organization (though they have been known to meet in times of great crisis), it’s an identifier of immensely powerful individuals that represent the last of a long extinct race. Such among their number include the Collector, Grandmaster, Champion, and the Possessor who have often toyed with the residents of Earth for their private amusement but have also taken vast responsibilities, such as being custodians for the Infinity Gems. Arguably, the most powerful among these Elders is Ego the Living Planet. Long ago, a scientist merged with a planet to survive when his solar system’s star went supernova. Becoming Ego, the planet was forced to find nourishment by consuming other worlds. When Ego had set its sights on the Rigellian Empire, its race contacted Thor for help. This would begin a long, ongoing conflict between Ego and Thor which, in time, would include Galactus in the conflict (Ego perhaps Thor’s most powerful enemy and the living planet one of the only mortal beings in existence that can stand against Galactus). Eventually, Galactus would embed rockets into Ego intended to keep it in constant motion so that it could not feed but, in time, Ego would come to command these rockets and become mobile. Ego would go on to combat the likes of the Fantastic Four, Rom: Spaceknight, Silver Surfer, Beta Ray Bill, Kree, Quasar, and Nova. Ego’s origins would later be revised in that he was created by the cosmic entity known as the Stranger. 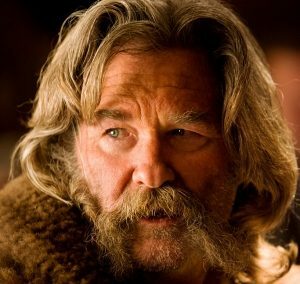 Kurt Russell will portray Ego in Guardians of the Galaxy Vol. 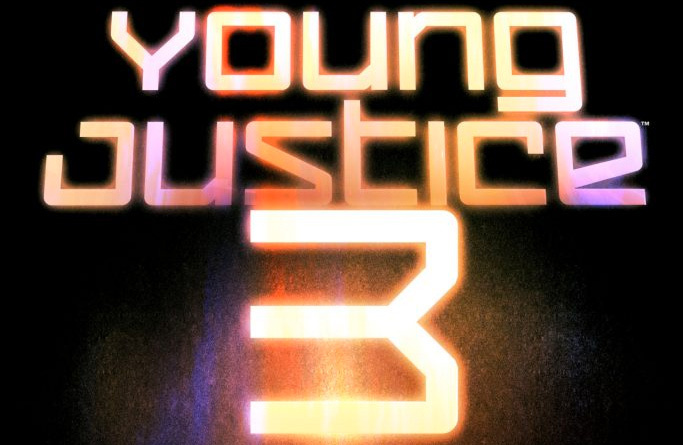 2 where it will be revealed he is Peter Quill’s father and has been searching for his son since Yondu kidnapped him.